Get more with faster speeds that let you capture 3D HD video and fast action photos. 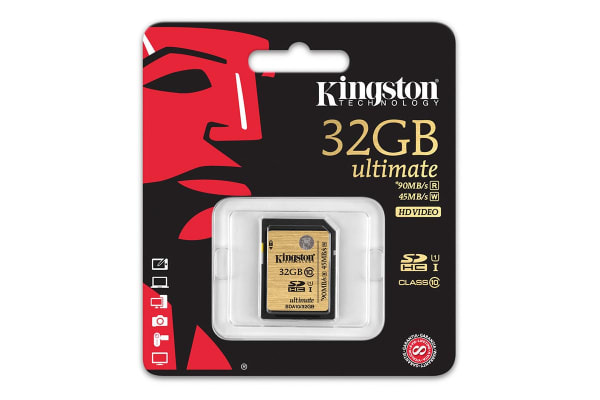 The Kingston 32GB SDHC Card Class 10 UHS-I Ultimate features UHS-I technology and impressive performance that lets users shoot full 1080p HD video and 3D video. 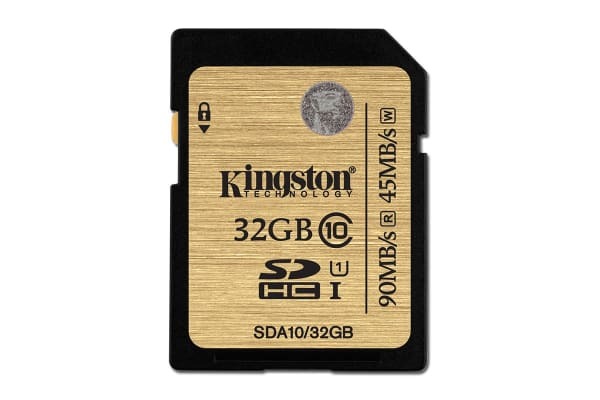 With speeds of up to 90MB/s read and 45MB/s write, it is ideal for storing and transferring HD video recordings, high-quality photos and other large capacity files. 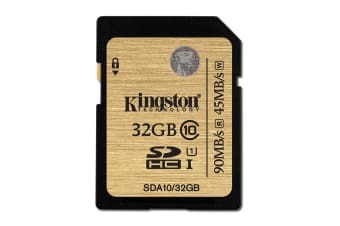 Photographers can shoot high-density image files, such as RAW or JPEG, without running out of space, and the card’s higher sustained write speeds support continuous burst mode and ensure video integrity by reducing stutter.